When is Mahashivratri in 2020? Mahashivratri is one of the biggest festivals of Hindus. As per the South India Panchangam (Amavasyant Panchang), Maha Shivratri is celebrated on the fourteenth day of the dark fortnight in the Magha month. On the other hand, as per the almanac of North India (Purnimant Panchang), festival of Maha Shivaratri is observed on the fourteenth day of the dark fortnight in the Falgun month. As per the Panchangam of both North as well as South, Mahashivaratri occurs on the same day. Hence, according to Gregorian Calendar, the date remains same in the entire India. On this day, devotees of Shiva worship him by offering Bael leaves to the Shivling, keeping fast, and staying awake whole night. 1. If the entire Nishithkaal is coming under Chaturdashi Tithi (fourteenth day as per Hindu Panchang) on the very first day, Mahashivratri is celebrated on the same day. The eighth Muhurat of night is called Nishith Kaal. In other words, if the eighth Muhurat of night is falling under Chaturdashi Tithi the first day, Mahashivratri is celebrated on that day only. 2. If, on the next day, Chaturdashi Tithi touches the first part of the Nishithkaal and on the first day the Nishith Kaal is entirely coming under Chaturdashi Tithi, Mahashivratri is celebrated on the first day. 3. Apart from the above mentioned 2 conditions, the fast will always be observed on the next day. Many stories are famous about Shivaratri. As per the descriptions, Goddess Parvati had undergone a tough penance to get Shiva in her life as her husband. Mythological texts say - as the result of her hard efforts, Lord Shiva and Maa Parvati got married on the fourteenth day of the dark fortnight of Falgun. This is the reason why Mahashivratri is considered very much important as well as auspicious. Apart from this, Garuda Purana mentions the importance of this day with a different story. According to which, one day, a hunter went out to hunt with his dog, but he got nothing. Being tired and starved, he sat down near a pond. There was a Shiva Lingam under a Bilva tree. In order to give some rest to his body, he took some leaves from that tree. By chance, some of them fell down over the Shiv Ling. After that, he sprinkled the water of pond over his feet to clean them. Eventually, some of the water also got sprinkled over the Shiv Lingam. While doing all this, one of his arrows fell down. In order to pick it up, he bowed down in front of the Shivalingam. Like this, he completed the entire process of Shiva Puja on the day of Shivaratri unintentionally. After his death, when Yamadoot came to take his soul, people from Shiva?s army came to protect him. If the unintentional worship of Shiva on the day of Mahashivratri gives such an amazing result, how it will bless us if we do it intentionally. 1. Fill an earthen pot with water or milk. Put some Bael leaves, flowers of Datura-Aak, rice, etc. in it and then offer it on Shiva Ling. If there is no Shiv temple around then worship should be done by creating a Shivaling with mud at home. 2. On this day, one should recite Shiv Purana and chant Mahamrityunjaya or 5-letter Mantra of Shiva Om Namah Shivaya. Additionally, one should stay awake throughout the night of Mahashivratri. 3. As per the classical rituals, the best time to perform Mahashivratri Pujan is ?Nishith Kaal?. However, devotees can perform the Puja during all 4 Prahars of the night as per their convenience. Lord of the Chaturdashi Tithi (fourteenth day as per Hindu Panchang) is Shiva himself. That is why, in every Hindu month, the fourteenth day of dark fortnight is celebrated as Masik Shivratri (monthly night of the Shiva). In astrological classics, this day is considered extremely auspicious. 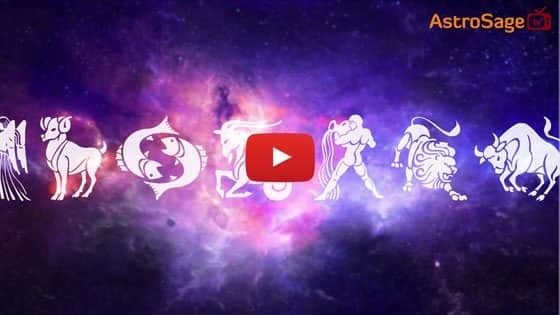 As per the calculations of mathematical part of astrology, Mahashivratri takes place when Sun gets in Uttarayana and change of season also goes on. Astrology tells that on the fourteenth day, Moon gets weaker. As Lord Shiva has established Moon over his forehead, worshipping Him empowers the Moon of the worshipper. As Moon is the significator of mind, it gives an additional benefit. In other words, worshipping Shiva gives strength to the will-power and induces unbeatable valor as well as toughness in the devotee. If you have any query regarding this festival, put it in the comment below. We, at www.AstroSage.com, wish you and your family a very happy Mahashivratri!